This all-encompassing pass includes access to more than 80 of London’s top attractions, plus other special offers. Save your London Pass on your mobile device (available as your 'ticket' after purchase) and gain access to more than 80 top London attractions and activities with the great-value London Pass, and enjoy fast-track entry to select sites, too! Enjoy skip-the-line privileges to glorious St. Paul’s Cathedral; take a tour of Shakespeare’s Globe Theatre; visit Kensington Palace, once the home of Princess Diana; relax on a Thames River sightseeing cruise, and step aboard an iconic red London bus for a hop-on hop-off tour around the top monuments and sights. 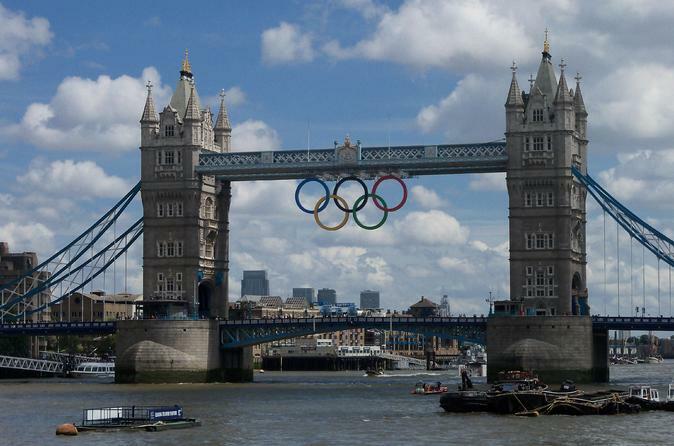 Your London Pass also entitles you to a host of discounts on shopping and eating out. Choose from a 1-, 2-, 3-,4-, 5-, 6-, or 10- day credits package to fit your schedule when you book. Then save your Pass (available as your 'ticket' after purchase) on your mobile device. After that, London is yours for the taking: just scan your pass from your device to redeem credits at the sites for fast and easy entry. Your London Pass is valid for the number of consecutive days chosen, from the time of first use. Your London Pass also comes with a free London guidebook to help you get the most from your sightseeing. See the Itinerary section below for a full list of included attractions, tour and activities. Truly a great value and one of the most important purchases to make! 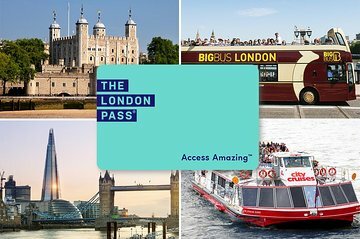 We bought the London Pass for the second time in August, 2018. London is incredibly busy this time of year and I would recommend visiting another time but if you do go it's absolutely required to have the London Pass. The lines are absolutely insane otherwise. The amount of value you get for this pass is truly unsurpassed. You can see almost every attraction in the city and skip the long lines which is a huge issue in the summer months. This time we had just a half day and it was still very useful. We used the London Pass to go on a Thames River Cruise, we saw the Shard, we went on the Hop-On Hop-Off bus tour, the Tower of London, the London Bridge Experience and several other things. If you have a full day it's obviously even more worthwhile, but don't worry about the cost even if you're only here half a day like us. We still got great value in a half day and I would probably pay even more to avoid those lines! Nobody accepted, waist of money.. Very economical way to get around London. One of the places was Winston Churchhill's war rooms. The pass was for regular entrance. When we got there we were told that it was a 1 1/2 to 2 hour wait. We waited for 3 hours before we were let in. There was a priority line and they would allow about 8 people in that line with only 2 people in the regular line. The priority line of course went much quicker and if that line was caught up, which was not very, often they would allow more of the regular line go. Of course this was in June so maybe in non summer months it is better. If your going in the summer I would suggest getting priority tickets unless you have hours to wait. The redemption office for the pass closes at 4:30 PM which I think is way to soon. The pass was nice as it allows entry to most of the main attractions in London. However, the pick up point in order to get the actual pass is very difficult to locate and not in a convenient location. We made the most of this pass... as well as savings we had a less stressful and hassle free time. Very good. But you have to plan your trip very good to be able to use as much as you can.